Antarctica Cruises and Tours are perfect for those who crave adventure and are looking for a unique travel destination. This remote region is the windiest, iciest, highest, driest and coldest of all the world’s major landmasses, and it has the shortest tourist season of only 5 months – November to February! However, it is also becoming an increasingly popular tourist destination as people learn about the incredible variety of wildlife and magnificent landscape. You can marvel at the massive icebergs, explore some scientific research stations or visit one of the area’s numerous penguin rookeries. If you visit this remarkable region during December or January, you can also enjoy up to 20 hours of daylight each day, giving you more time to explore. You can only travel to Antarctica during its summer months because of the extreme low temperatures, near complete darkness and deep pack ice that can extend more than 620 miles, making ship navigation impossible. We have the experience to obtain the most suitable route or tours and to assist with the Visas and National Park permits sometimes required when you travel to this part of the world. Cruises are one of the only ways to visit Antarctica, and they are becoming increasingly popular. You can visit any time between November and March when ships can navigate ice-free passages including the scenic Antarctic Circle crossing. Most trips to this remote region depart from Punta Arenas in Chile, Ushuaia in Argentina, New Zealand, Australia or the Falkland Islands. 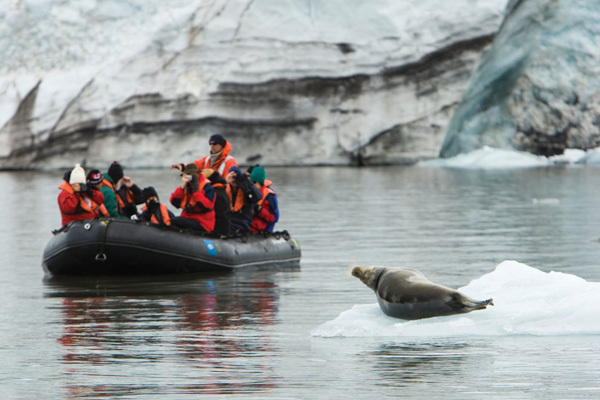 You can choose anything from a 10 to 31-day Antarctic cruise. Approximately 12 cruise lines belong to the International Association of Antarctica Tour Operators or IAATO. The better known include Silversea Prince Albert II, Crystal Cruises, Hurtigruten, Lindblad, Celebrity Xpedition, and Regent Seven Seas Cruise Lines however, you may end up traveling on a research vessel or icebreaker that has been converted into a passenger ship. Because IAATO does not permit more than 100 people to go ashore on the continent at any given time, most cruise ships are small and contain only 45 to 280 passengers. The larger ships offer “sail-by” Antarctic cruises where you can view the spectacular landscape without actually going ashore. Boat Tours – Enjoying an exciting boat ride through some of the world’s most beautiful waterways is always a treat. 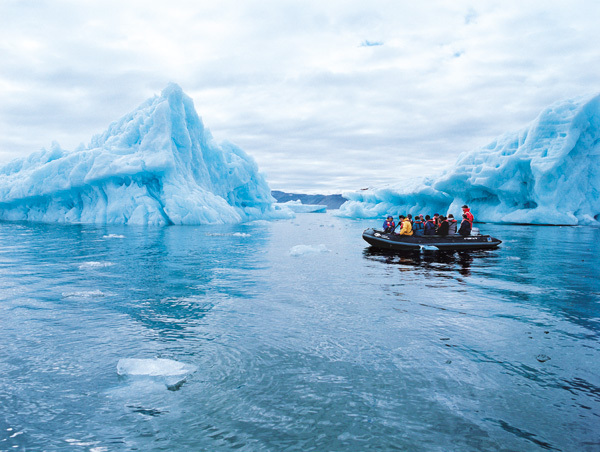 You can watch for playful penguins or marvel at the massive icebergs and glistening glaciers. Most sightseeing is done from inflatable Zodiacs equipped with outboard engines. Iceberg Tours – You can enjoy one of the most unique tour options if you travel to Antarctica during the winter months. During this time, sea-ice freezes around the icebergs where they remain until spring. Visitors can actually walk right up to these magnificent icebergs and marvel at their colossal size. You can view beautiful blue, green or purple icebergs or witness massive chunks of a glacier break off and crash into the sea. Wildlife Tours – Antarctica is a birdwatcher’s paradise with too many migrating seabird species to count. Take a tour of the South Georgia Island where you can watch playful penguins, visit large Emperor and King Penguin rookeries or spot the world’s largest seabird, the Wandering Albatross. If you visit Antarctica during December or January, you can witness penguins hatching and feeding their newborn chicks. Cape Royds also contains a penguin rookery. Keep your eyes out for majestic Orcas, humpback, sei, minke and blue whales which are best viewed during the summer months of February and March. The scenic fjord of Lemaire Channel presents great whale-watching opportunities. Visitors can also watch southern fur seal colonies, as well as leopard seals, Weddell seals and southern elephant seals. The nearby Falkland Islands also contain an abundance of wildlife, including Gentoo, Magellanic, King and Rockhopper penguins, the southern elephant seal and the South American sea lion. You can view thousands of Chinstrap Penguins on Deception Island’s volcanic slopes and hundreds of Adélie Penguins on Torgersen Island. The former secret British WW II station of Port Lockroy is also a great location to search for shags, shuas, sheatbills, as well as a Gentoo Penguin rookery. Depending on the weather and ice conditions, you may be able to visit South Orkney Islands where you can colonies of nesting Snow Petrels. Aerial Tours – Many visitors choose to take an aerial tour of Antarctica where they are rewarded with spectacular views. You can land on ice airstrips for most of the year. Most flights leave from Punta Arenas in Chile, although several tour companies also offer aerial flights from Australia. Private Trekking Expedition – If you’re a true adventurer, you may want to consider trekking through Antarctica. You will be rewarded with the trip of a lifetime, as long as you are very physically fit and willing to pay a hefty price tag, as high as $25,000. Adventure Network International is the only company that offers ski safaris and mountaineering expeditions to the South Pole. Antarctica is a beautiful region that offers plenty of spectacular sightseeing options. A permanent ice sheet that averages 2,000 meters thick covers 98 percent of this remote continent. Deception Island – Visitors can enjoy a swim in the area’s natural hot pool. Volcanic activity beneath the earth’s surface heats the water. The island is aptly named, given that many tourists find it incredibly hard to believe they can actually swim in the coldest place in the world! McMurdo Station – With 1,000 summer residents, McMurdo is Antarctica’s largest settlement. Visitors can explore the US-operated station, including the hut Robert Scott’s expedition built in 1902. Mt. Erebus – You can visit the world’s most southern active volcano located on Ross Island. Mt. Erebus erupts at least once or twice a day and is one of only three worldwide volcanoes that contain a permanent lava lake. Macquarie Island – This island is located almost at the halfway point between the Antarctic continent and Tasmania. It has the largest Subantarctic wildlife population. Visitors can view approximately 4 million penguins, tens of thousands of seals, a huge king penguin colony and the world’s only Royal Penguin rookery. The Australian government has established a wildlife research station on Macquarie Island in an attempt to study and preserve the local wildlife species. Ross Ice Shelf – A thick layer of ice covers most of McMurdo Sound, the part of Antarctica located below New Zealand and Australia. The ice continues to slowly descend from the South Pole to Antarctica’s edges. Visitors may marvel at the thick walls of ice that are often hundreds of feet high. Some lucky tourists will also be able to witness an exciting phenomenon called calving where large parts of the wall shear off into the sea and form a new iceberg. South Orkney Islands – Coronation is the main island which contains a British research station. Scientists study the nesting habits of cape and snow petrels. These islands are claimed by the UK and Argentina, and were once a 19th century whaling base. South Shetland Islands – These 11 islands are claimed by Chile, Argentina and Great Britain, and they were formerly research stations. Today, Russians, Chinese, Argentines, Chileans, Uruguayans, Poles and Brazilians share the islands. South Pole – Very few tourists experience the unique opportunity to visit the South Pole. Adventure Network International offers tours during the summer months; visitors can enjoy a hot drink at the US Amundsen-Scott South Pole Station or view the mirror ball that identifies the actual location of the South Pole. 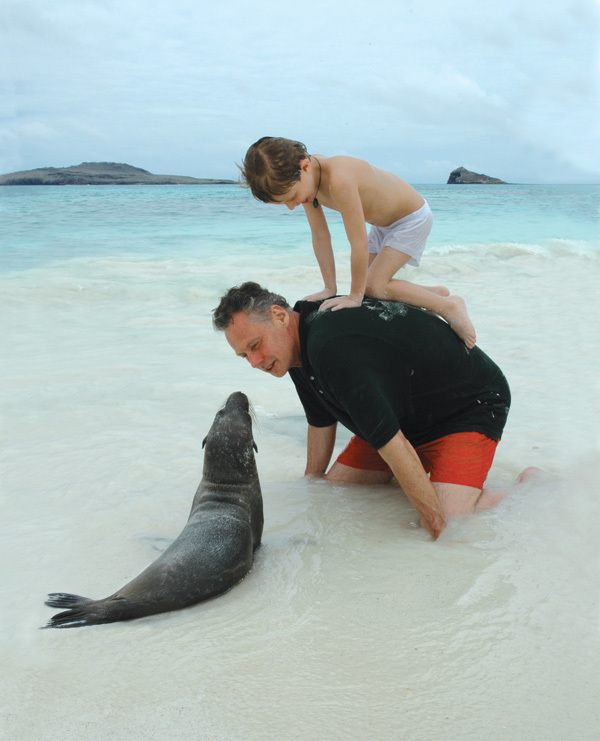 Galapagos Islands – If you’re planning to visit Antarctica, make sure to schedule enough time to stop at the amazing Galapagos Islands. Consisting of 13 large volcanic islands, 6 small ones and 107 islets, the area covers approximately 8,000 square kilometers. Only 5 of the islands are inhabited with approximately 18,000 people total. The Galapagos Islands are a province of Ecuador, and are located 1,000 kilometers from the coast of South America. The vast population of unique animals continues to draw many tourists worldwide. Because there are no natural predators on the island, you can often spot geckos, lava lizards, marine iguanas and a huge variety of birds, including the blue, masked and red-footed booby, flamingos, penguins, hawks, finches, frigates, flightless cormorant and the rare waved albatross. One of the most famous residents is the giant tortoise which has evolved into 14 different forms on the various islands.